La Peregrina ... who hasn't heard about the famous pearl found by an African slave and bestowed by Philip II of Spain to his future wife, Mary I of England? It was and still is, the largest pearl ever found, weighing more than 200 g.
Over time, it was thought to be lost and found again in the twentieth century at the neck of the famous actress Elizabeth Taylor, bestowed by Richard Burton at their first marriage. The legend says that a pearl, perhaps as big, was drunk by the seductive Cleopatra, dissolved in a cup of wine, at a feast given in the honour of Marc Antony to impress him. How fascinating these pearl tear-shaped are, how beautiful they are, and how hard it is for the oyster to produce it, in its endeavor to protect its soft body from the harsh piece of sand that has entered there in a moment of relaxation. That's why some pearls are getting very expensive with the passage of time. Their value never diminishes; on the contrary, just like the old gold, just like the jewels of the grandparents, they become more and more valuable. 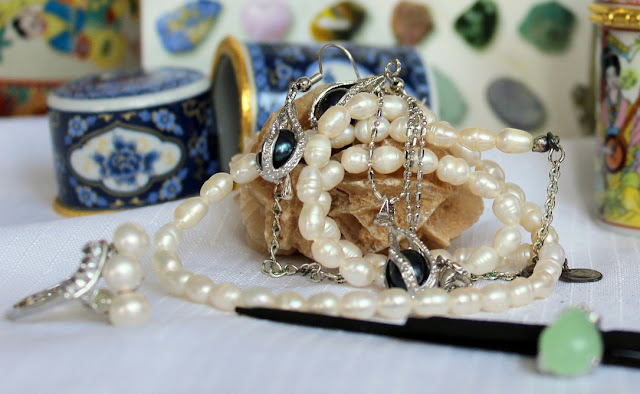 Therefore, it is always a pleasure to make someone a special gift by choosing a set of jewelry, earrings with pearls or pearls of any color, gray, black, pink or white. You will probably impress your girlfriend or the person you will make such an elegant and fine gift. I must admit that I would love to receive pearls jewels from the one who I love.